Standby Power Generators vs. Emergency Power Generators in a Nuclear Plant – What’s the Difference? Both standby generators and emergency generators are often used interchangeably. It depends on where you’re looking at things from. Large organizations and public buildings have emergency power supplies installed for some electrical equipment to function in the event of a power cut. Homeowners install standby generators in their homes to restore power after a storm or outage. Any of a standby or emergency power generator can be a simple design such as in homes or a complex type for big institutions like the hospitals. What Makes an Emergency Power System? Emergency power systems are designed to provide automatic backup whenever a power outage arises. Code requires it. Such systems should provide power at the specified time lapse of 10 seconds to all safety equipment such as smoke evacuation, egress lighting, fire alarm systems, elevators, and others. In short, emergency generators are a power supply meant to protect the lives of the occupants in a building. A critical point worth mentioning is that emergency power generators must be an independent installation. This means they will have unshared panels, conduit runs, and transfer stations, among other components. How may Standby Power Generators be Different? A standby power generator, such as the Briggs & Stratton 40396 is also designed to automatically backup power when there is a power outage. The time limit is different here. Sixty seconds is allowed for the system to engage. They are not required to be entirely independent, unlike the emergency power units. They can share installed system components. The standby power generators are not deemed to be installations that are critical to the safety of life but can be good to enhance such. Communications, ventilation and building automation can be part of such systems. How Do They Compare In A Nuclear Plant? The nuclear plant environment is a very sensitive one. For this, you should expect something beyond the ordinary. The Nuclear Regulatory Commission (NRC) in the United States views both terms to mean the same thing. This is clearly stated in their course material. In the nuclear power plants, diesel generators are the standard for emergency or standby electrical power supply. Students are trained on the basics about the emergency diesel generators (EDG) as the basis for the nuclear power plant workplace. This is required by federal regulations, codes and industrial standards. A significant safety requirement in a nuclear power plant is for independent and redundant power systems. In the general design criterion of the emergency power plant requirement, it states that onsite electrical supplies should offer sufficient independence and testability, among other factors to perform safety functions. The demand is that power systems have to be designed so that failure of one will not affect another. Why Emergency Diesel Generator in Power Plant? By law, it is not required that emergency diesel generators should be used for onsite power supplies at nuclear plants. Other notable fuel sources or options could be hydro, gas engine, gas turbine, and steam engine generators. Why is a diesel generator the choice and approved as the predominant means of providing power during an emergency in the power plant then? The answer to the diesel generator question can be examined based on the time requirement stipulated for an onsite emergency. Once the time limitation to restore power is set by the accident analysis, the next move will be to meet the requirement. And the question would then be what can reliably supply electrical power within the stipulated time? Except for large gas engines, no other fuel type out-performs the ability of diesel to meet the response time fixed to supply power when there is an emergency in the power plant. Diesel has the speed and power advantage to do the job more than any other fuel can. Also, diesel generators are reliable and readily available to come out tops and be used as emergency energy supplies in the Naval Reactors program. Generally, there are some factors to consider when buying an emergency generator. Whether it is the type you want to be installed in a power plant or at home, these considerations cut across all locations where you need a standby supply of power. Determining the size of your emergency generator is tied to the number of devices you want to run on during a power outage. Most times, it is believed you won’t be running the entire electrical installations in the building. You need just the emergency load. When considering your power demands, you only need to determine the emergency circuits. In a building, your electrician can separate the emergency circuits from the main panel to a separate one. Homeowners have their preference on what is most important. To abide by code compliance, healthcare facilities will have to work on the amount of load required to meet such emergencies. Big organizations including nuclear plants have their power requirements based on the equipment that must work continuously to avoid damage to other specific equipment like the core in a nuclear power plant. 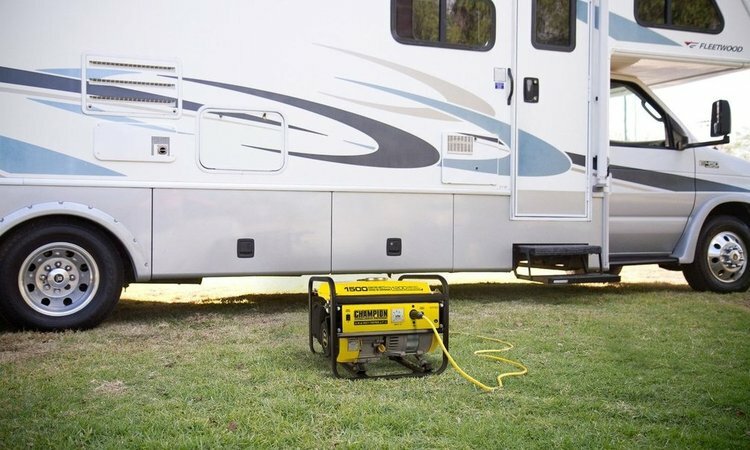 Diesel, propane and natural gas are the most common fuel types for emergency generators. Gasoline may not stand the chance of being considered for use as a source of fuel for standby generators because of its instability. Cost could be a determining factor in choosing between natural gas and diesel. Code requirement can dictate which types of fuel are provided in your area. Regulations can also determine the best emergency generator for your institution. In the nuclear power plant, diesel is required and recommended as the best fuel to meet the time limit set for power to be restored during emergencies. In this case, the type of facility dictates the fuel type required for such emergency generators. This invariably means going for generators with the specified type of fuel engine. There should be no debate about what type of transfer switch should go for emergency generators in institutions such as a nuclear power plant or hospitals where safety and life are paramount. The automatically controlled power switch is often the requirement. This system senses power loss when there is a power outage and sort of orders the generator to start within very few seconds of a power outage. For a nuclear power plant that requires 10 seconds time limit for a restoration of power, an automatic power switch is inevitable. This is what applies in a nuclear power plant. The manual transfer switch can only be considered for home standby generators. For industrial or commercial applications there are options to choose from variants such as bypass isolation, programmed transition and closed transition. 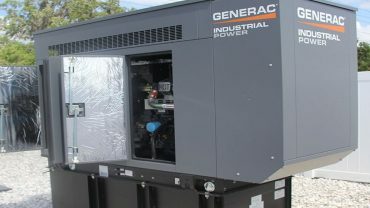 A generator should be installed where it will be convenient to operate and maintain. It should be located in a high region where rising water will not be able to reach and cause damage. When you decide for outdoor installation, you should obey requirements for such locations. The minimum distance from combustible openings and walls should be strictly followed. If you decide on the indoor installation, comply with the requirement for ventilation, fuel supply, and proximity to combustible material and exhaust ducting. In a typical situation, the generator should not be located far from the fuel supply. There are other important factors you can consider before buying a standby or emergency generator. You can start by creating a list of some others not listed. The bottom line is that a standby generator and an emergency generator are considered the same in some ways and often can be used interchangeably. Where Can I Get The Best Portable Solar Power Generator?